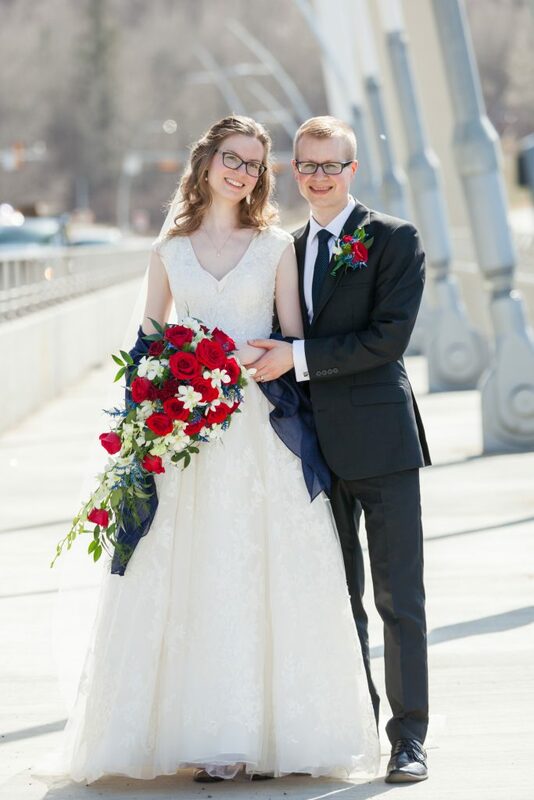 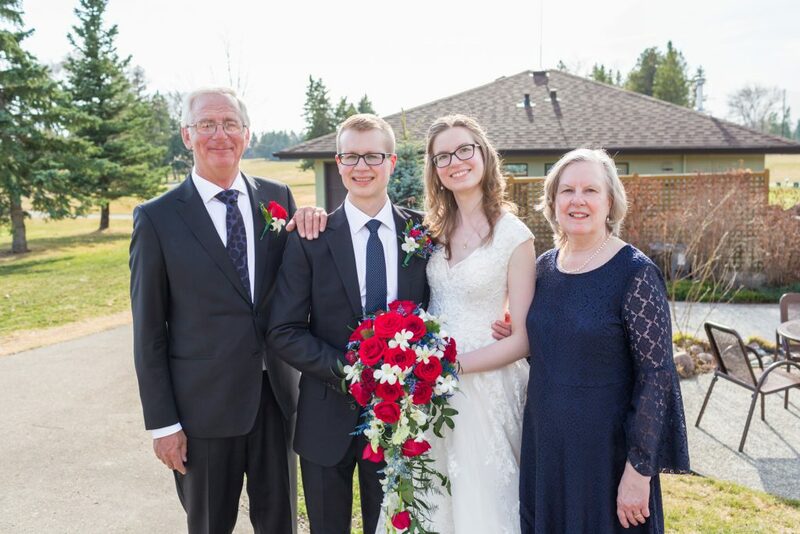 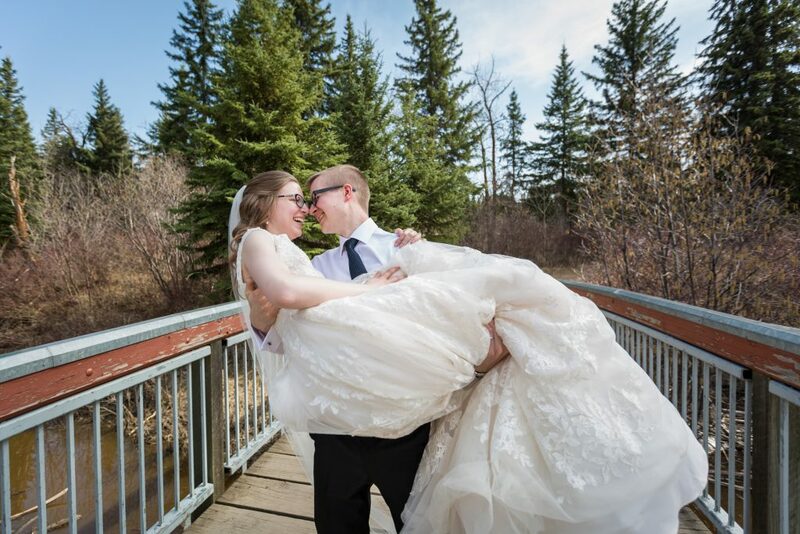 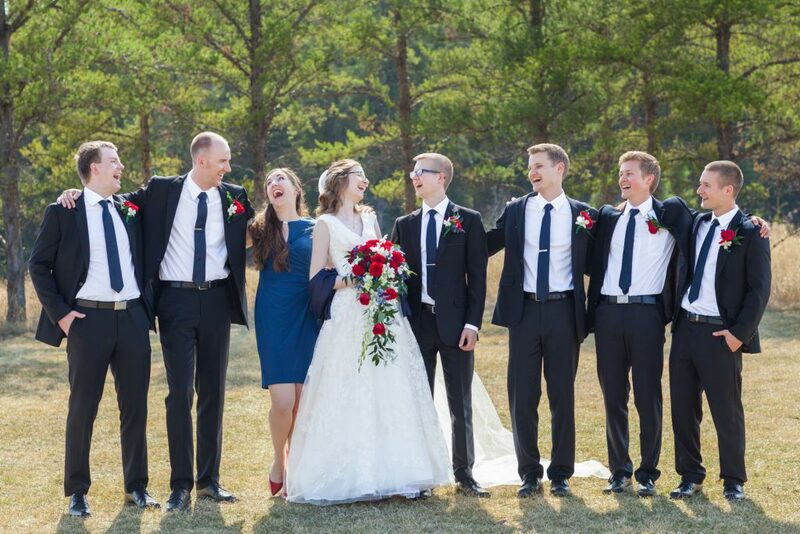 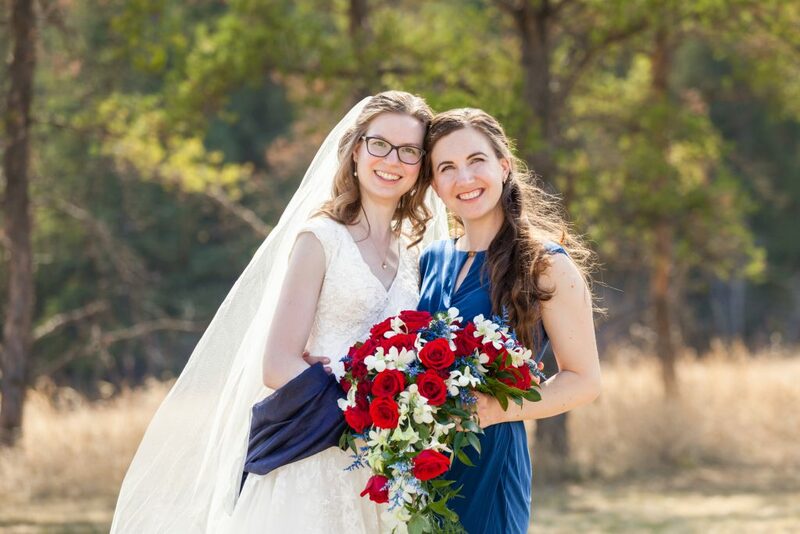 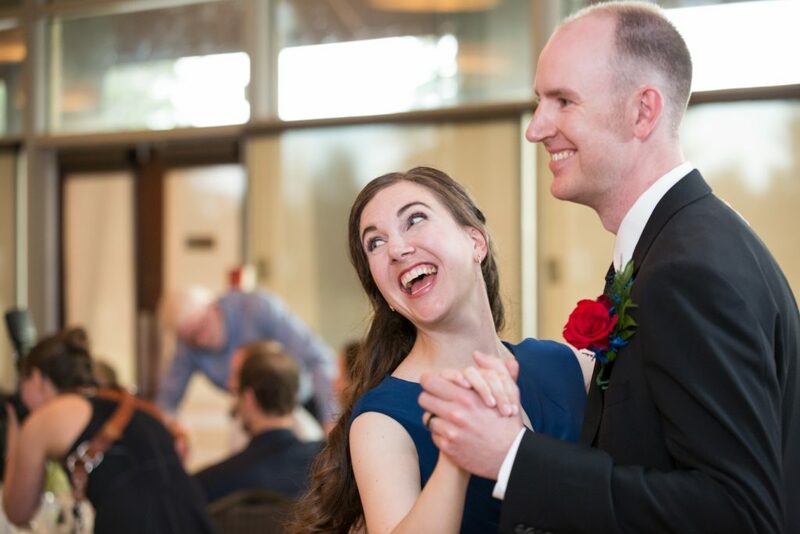 It was a gorgeous April afternoon for Andrea and Jonathan’s spring wedding. 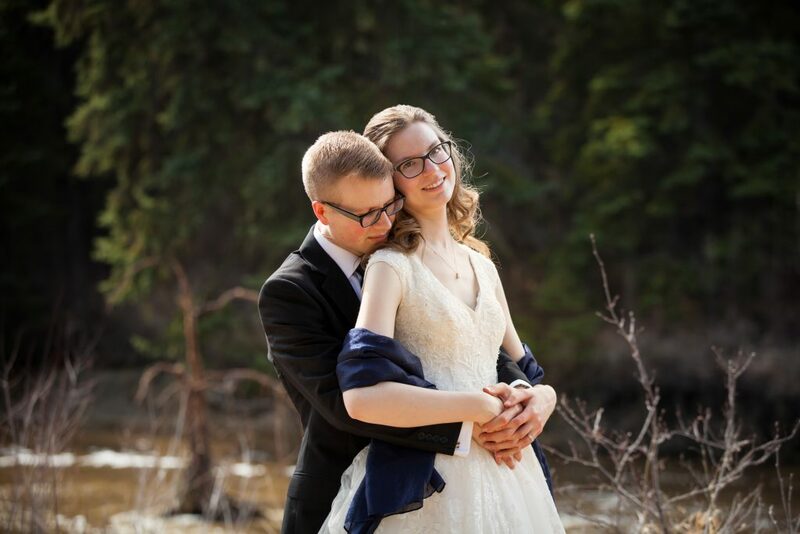 Having a beautiful sunny day in April is a luxury and a bit of a gamble in Edmonton. 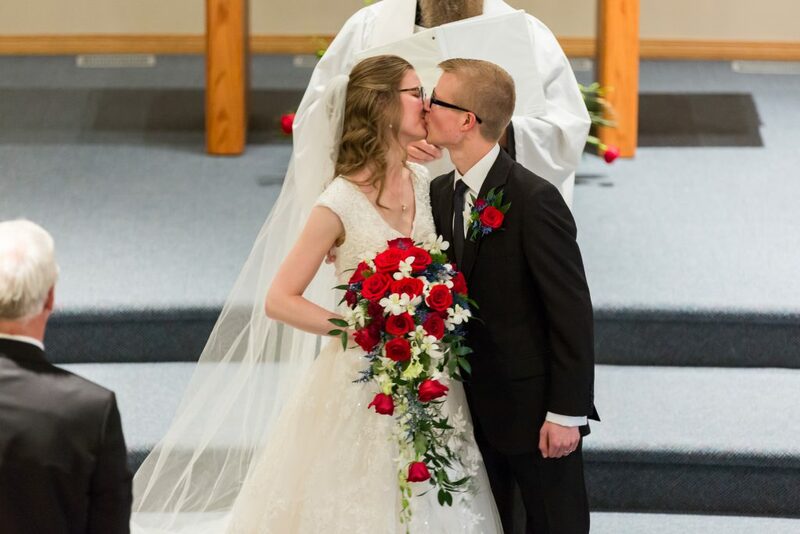 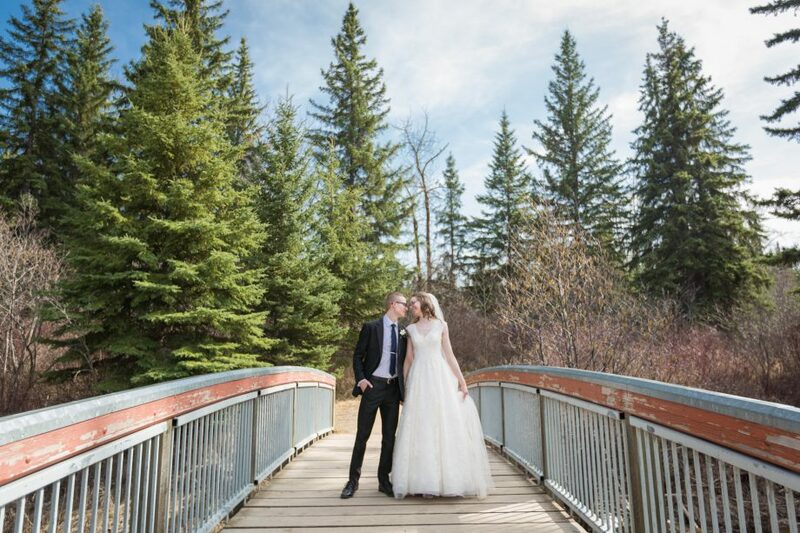 This couple must have called in the right favours to the right people because their day was absolutely stunning. 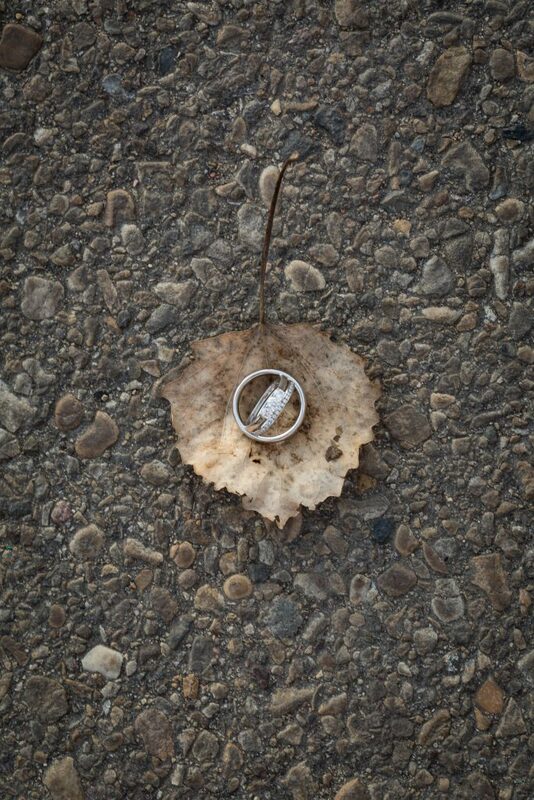 Andrea and Jonathan’s sweet autumn engagement photos can be seen here. 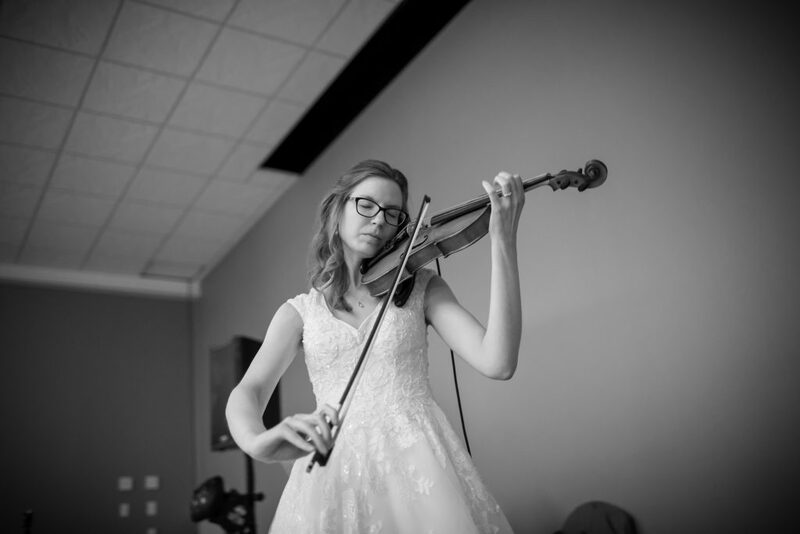 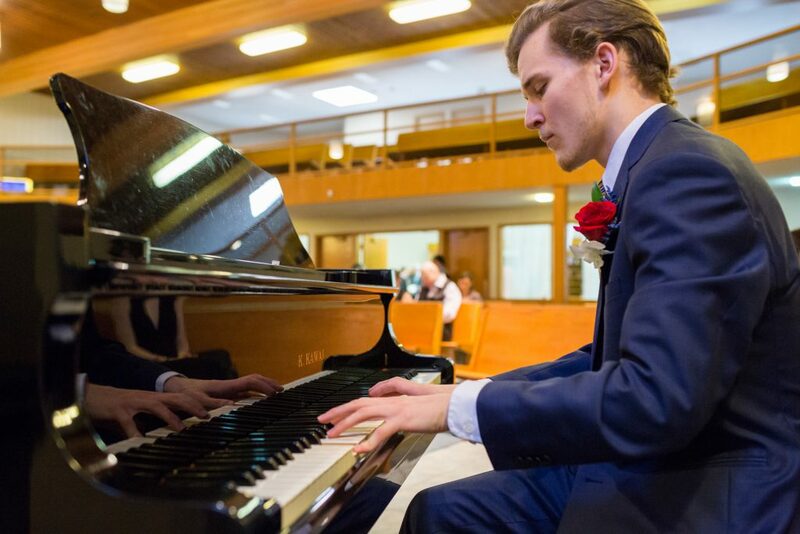 For their engagement session, they chose to share their love of music with us. 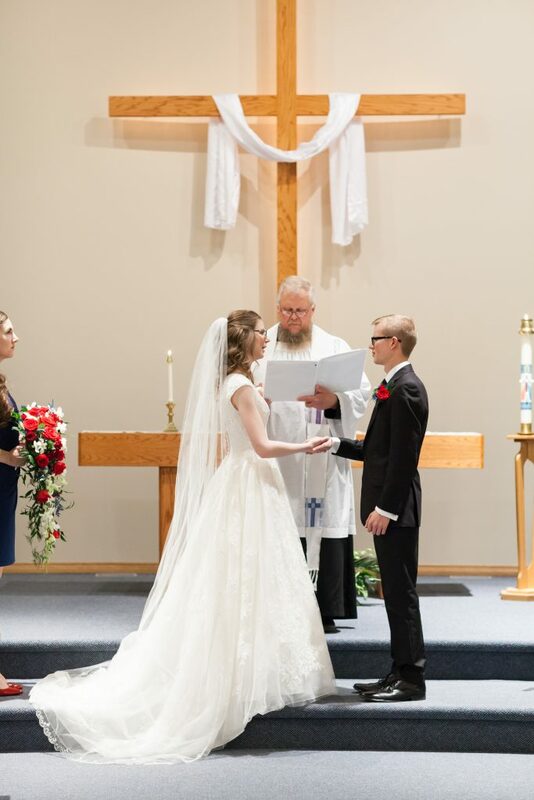 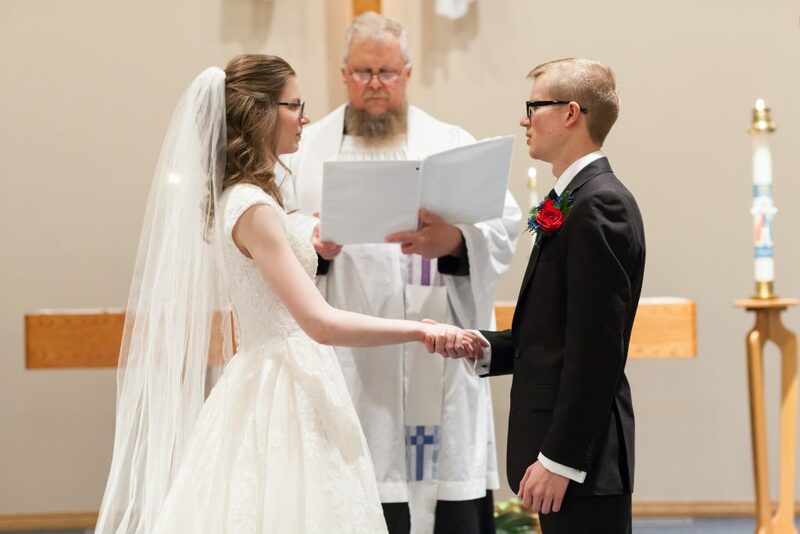 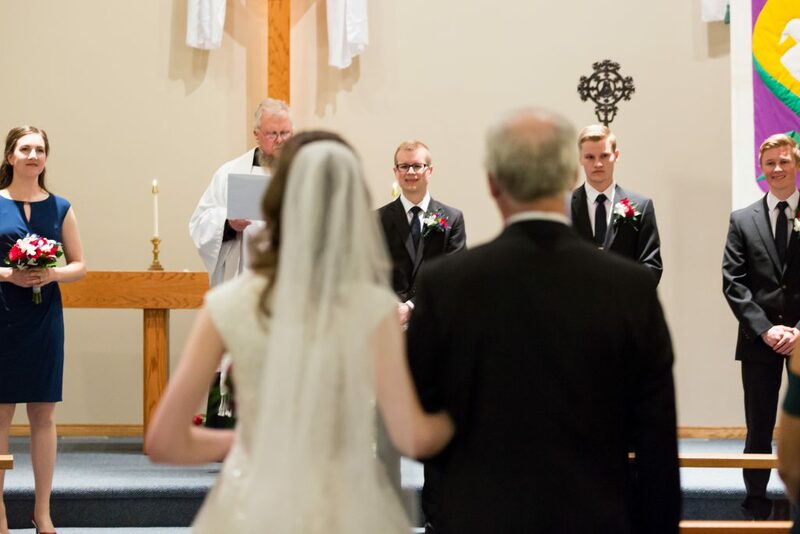 Family and friends gathered at Andrea and Jonathan’s home church, the Calvary Evangelical Lutheran Church. 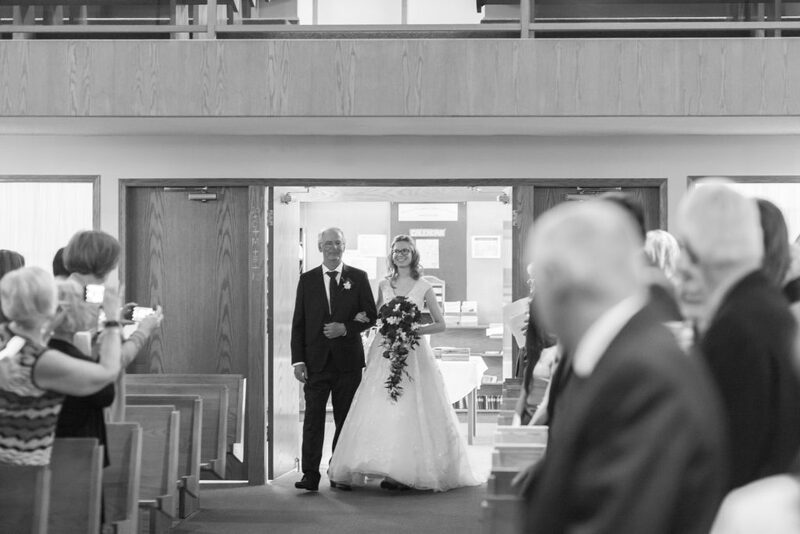 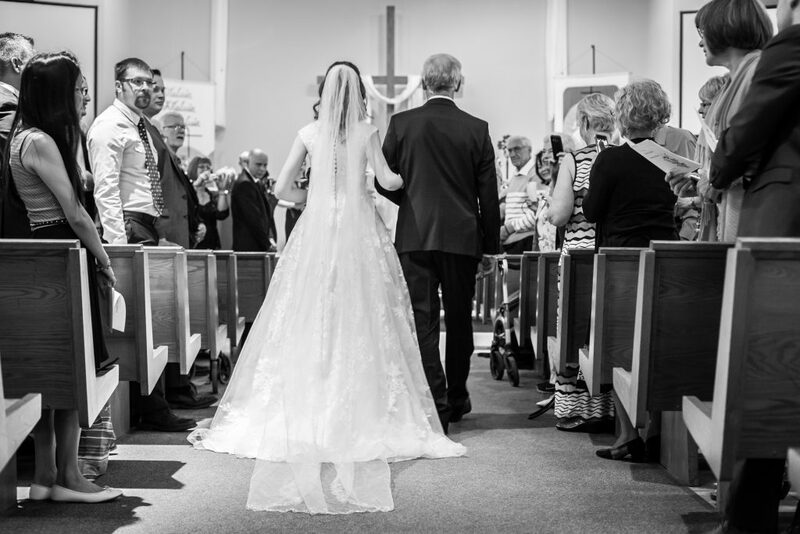 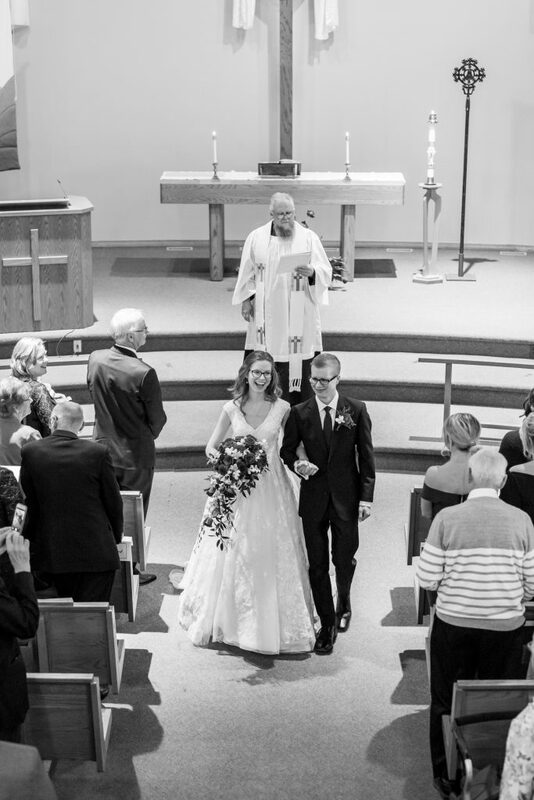 This beautiful church was filled to the rafters with guests, with love and with song. 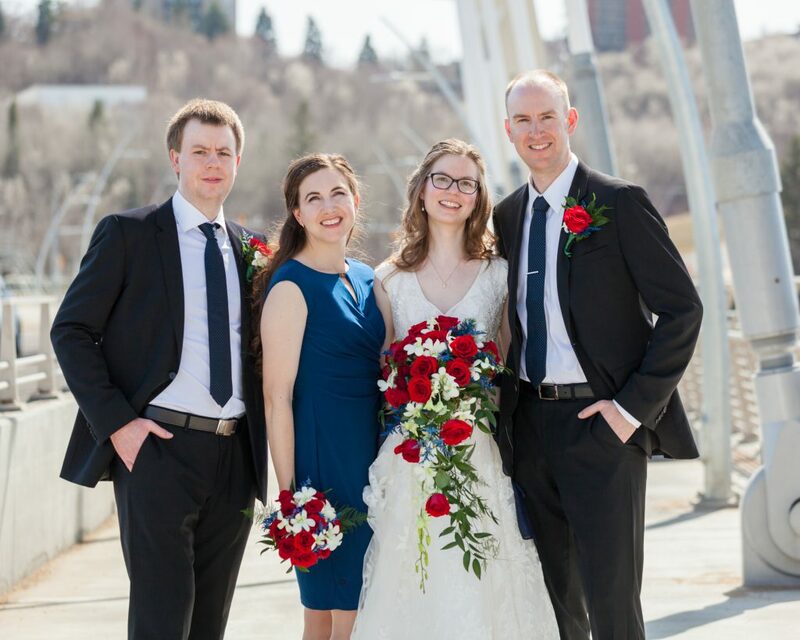 Following the ceremony, Andrea and Jonathan chose downtown Edmonton for their wedding party portraits. 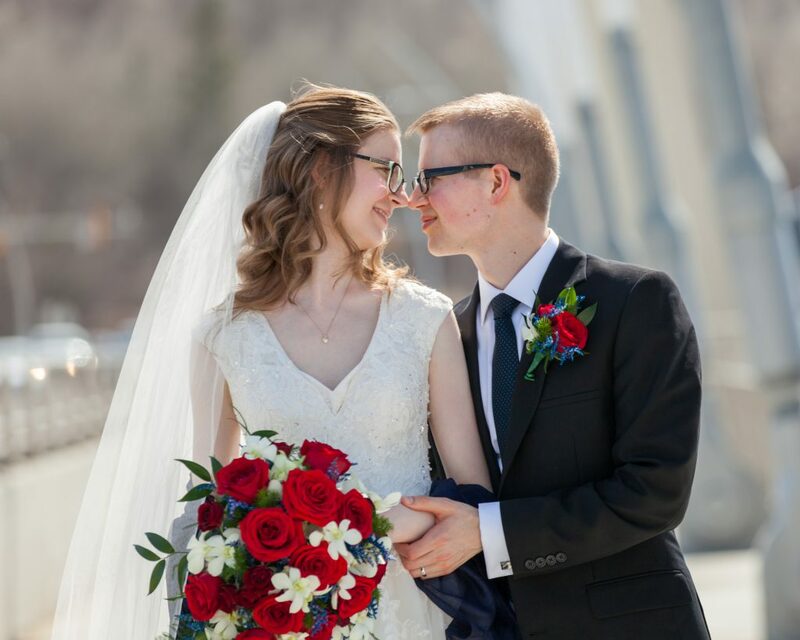 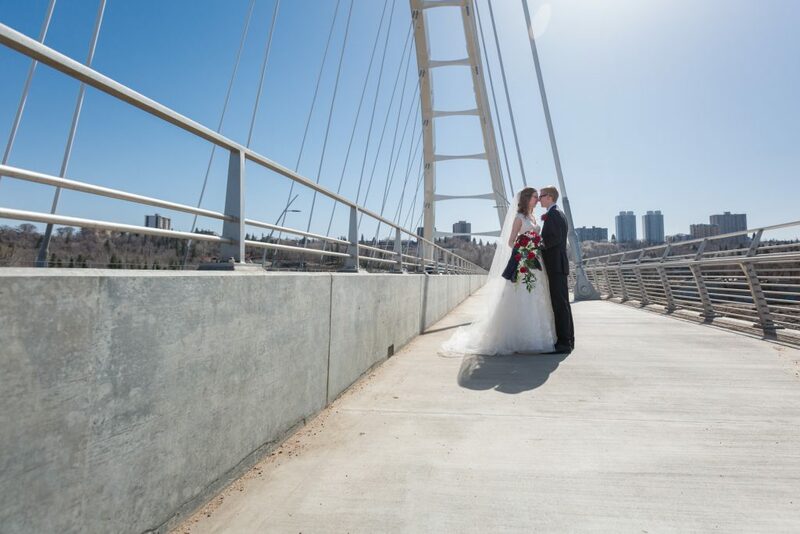 The cityscape and the new Walterdale bridge were the perfect background for fun, modern wedding photos. 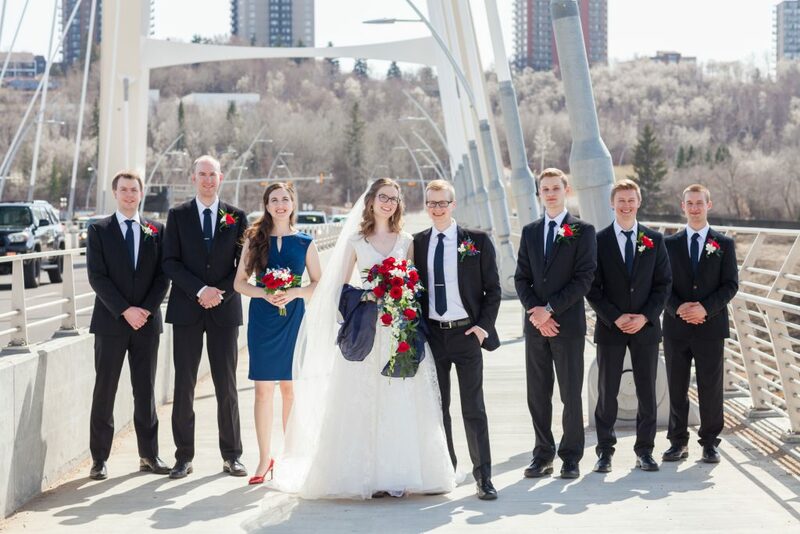 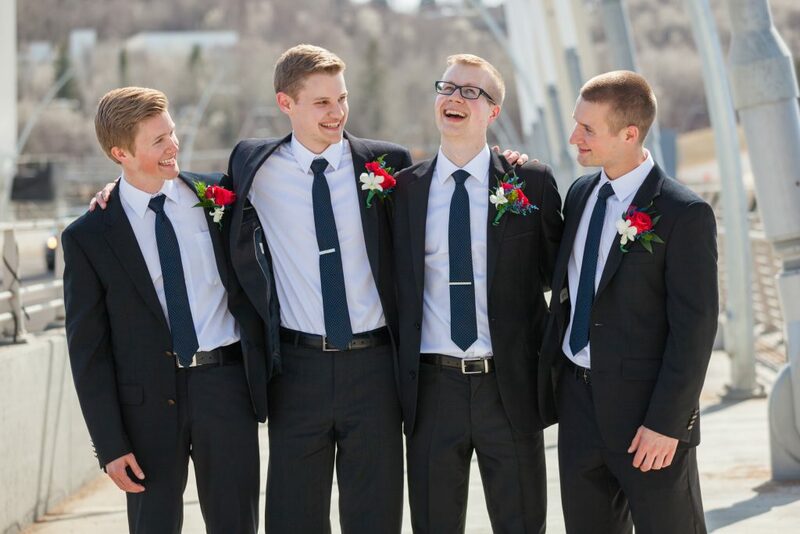 The new Walterdale bridge is a perfect location for full wedding party portraits. 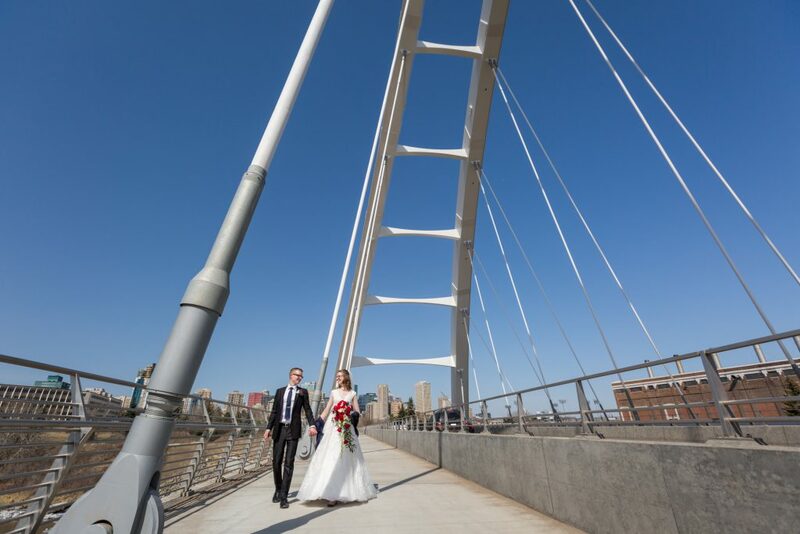 This bridge has gorgeous, clean line architecture and wide walkways which frame the downtown skyline. 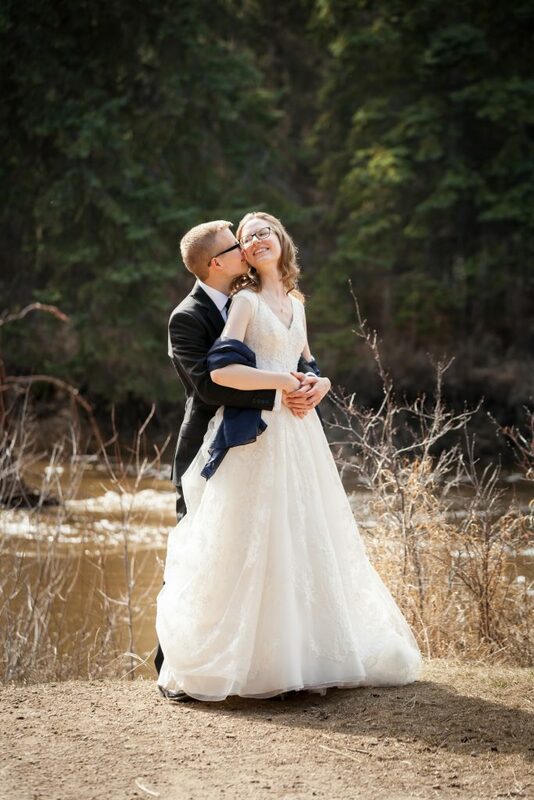 Jonathan and Andrea made a stop at Snow Valley for a few romantic wedding portraits. 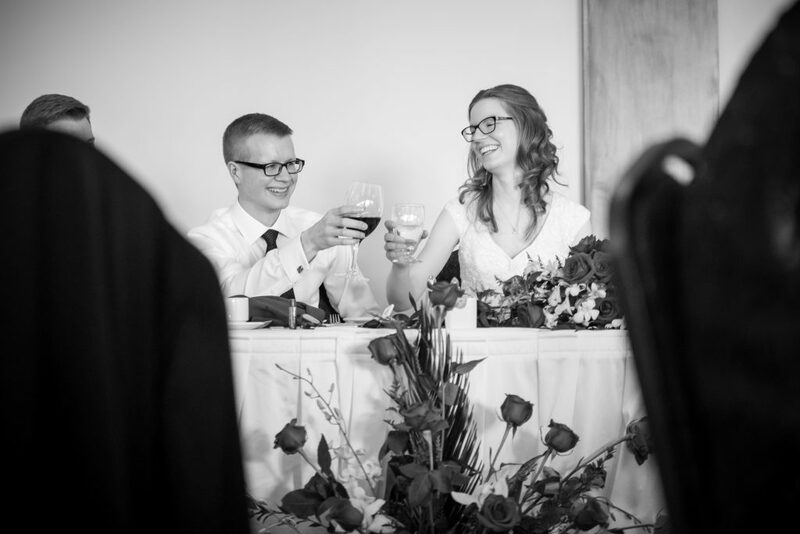 The newlyweds took a few quiet minutes to themselves to relax and take in their wedding day. 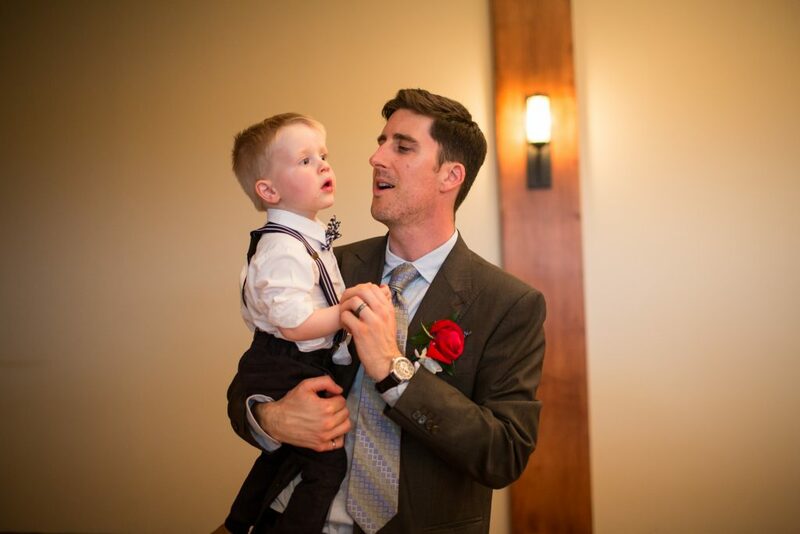 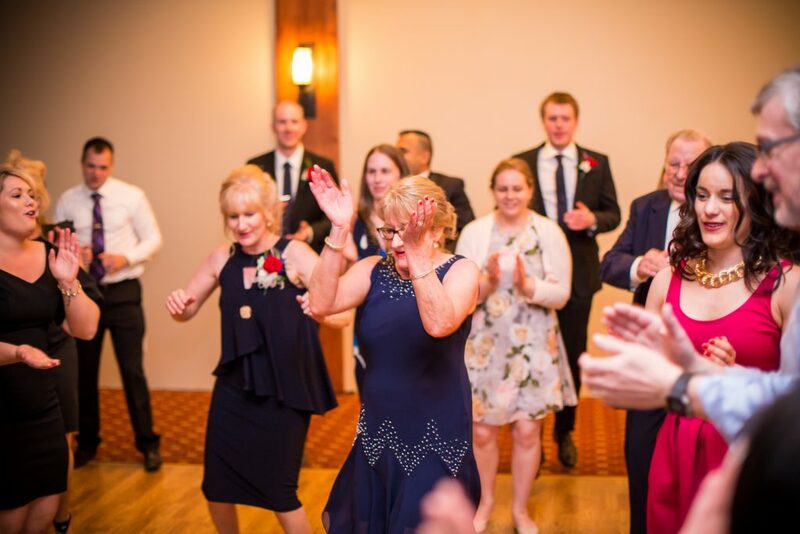 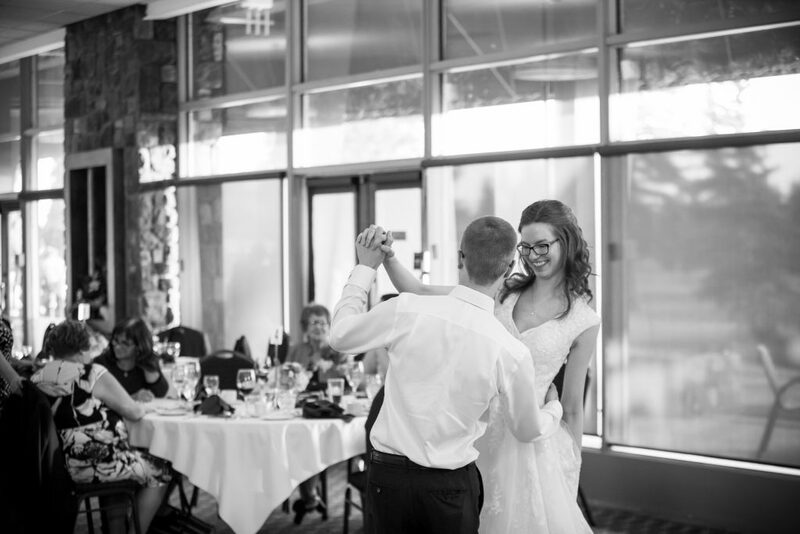 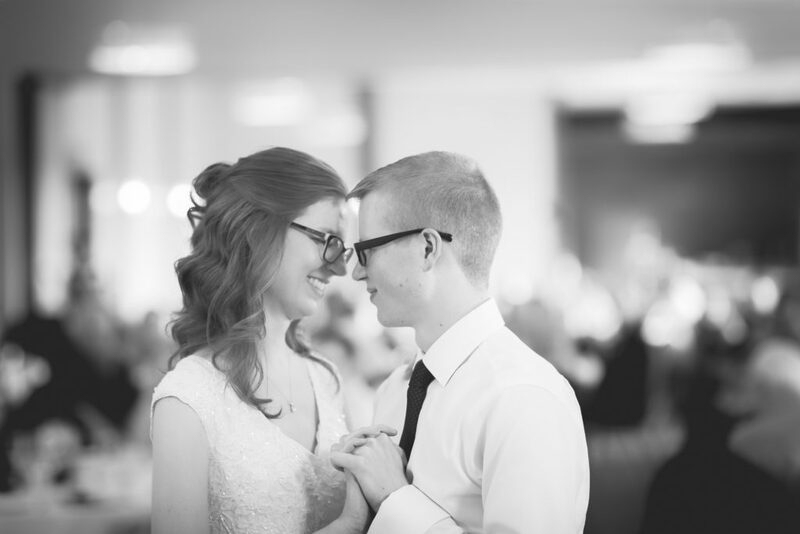 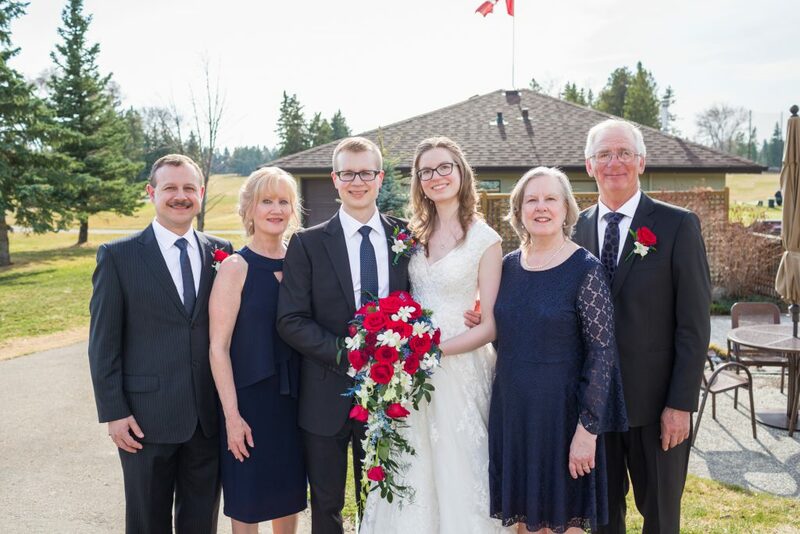 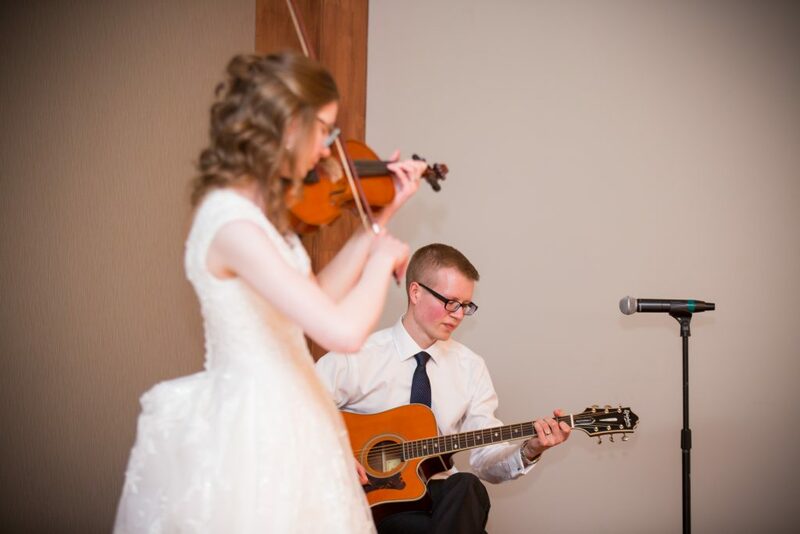 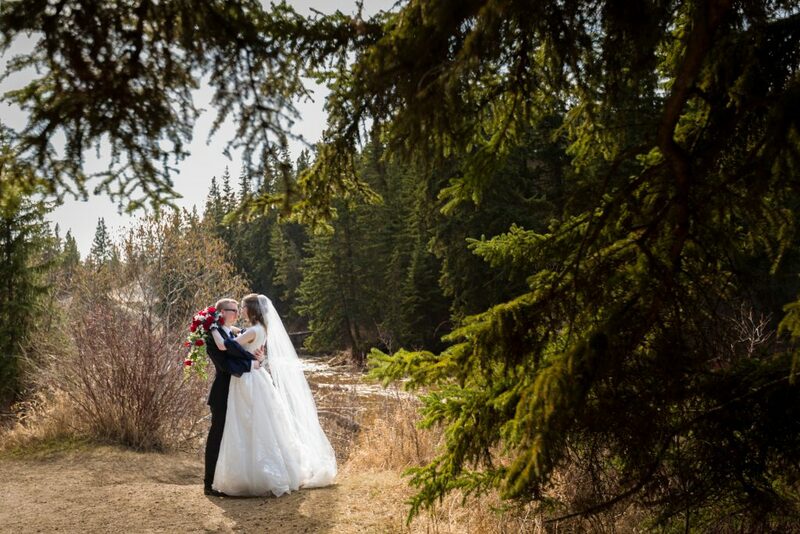 An intimate wedding reception was held at the Derrick Golf and Winter Club. 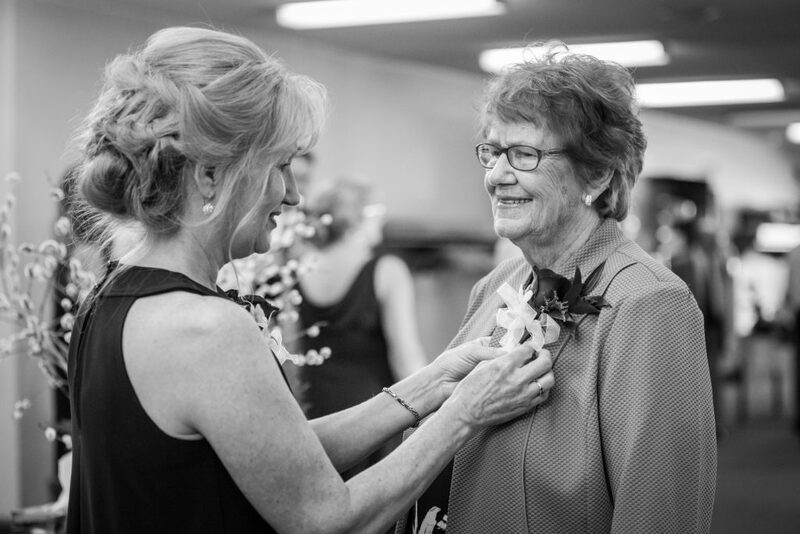 The intimate space was brightly lit by a wall of west-facing windows and filled with joyous family and friends. 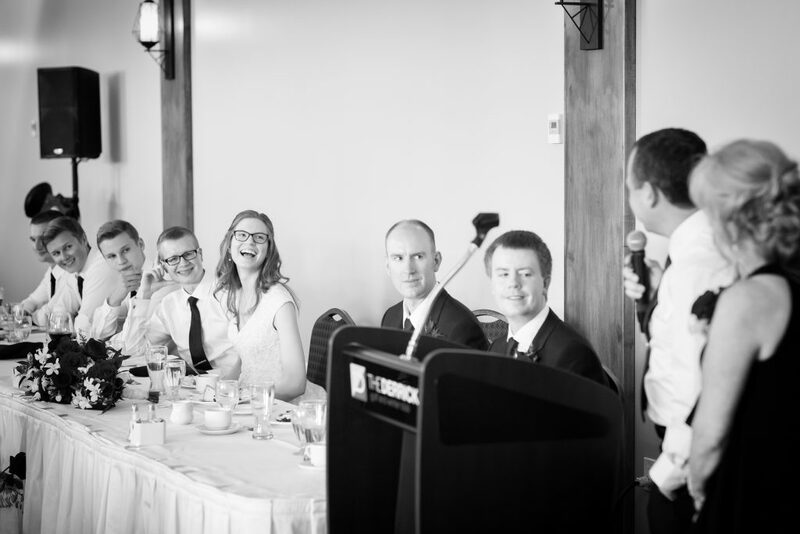 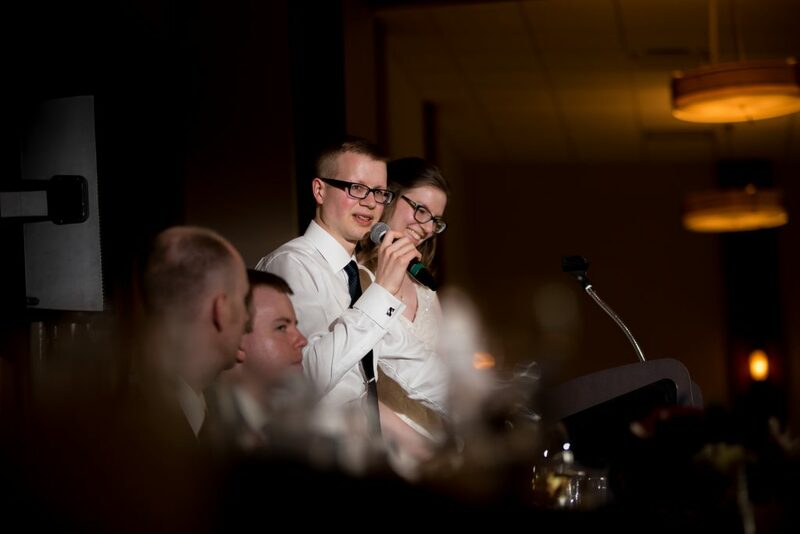 The speeches given were sweet, silly and very sentimental. 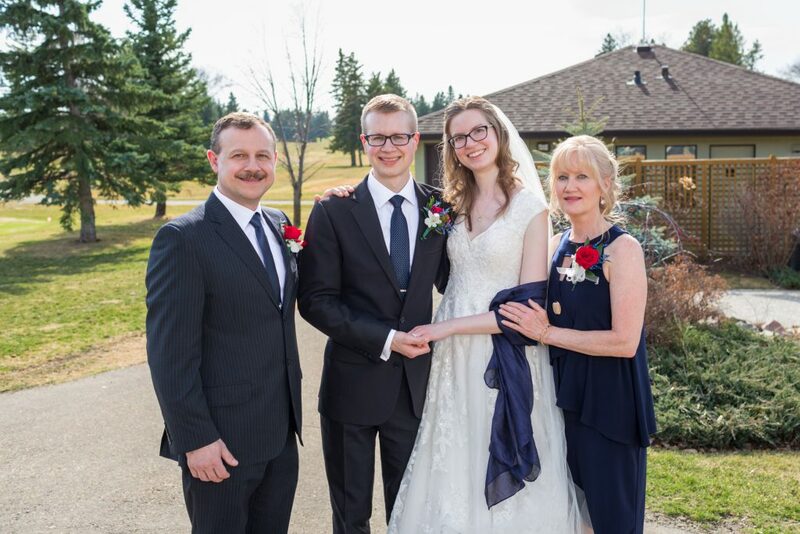 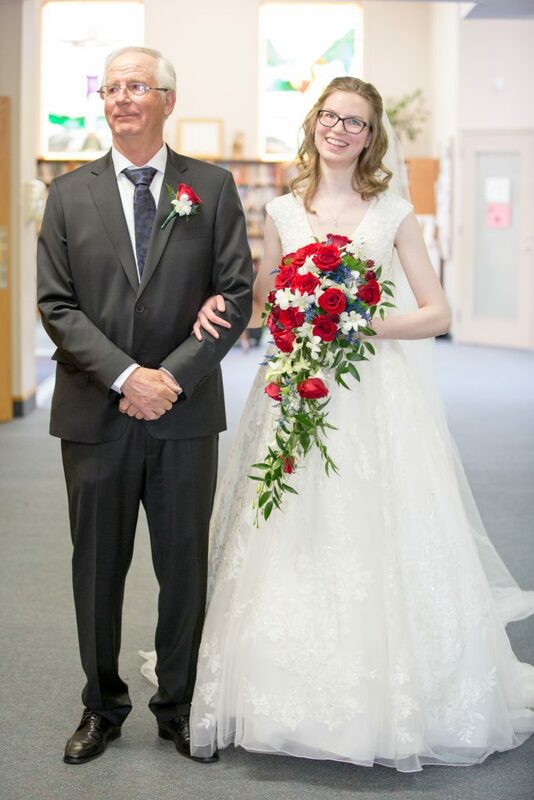 Thank you for inviting Deep Blue Photography to capture your beautiful Derrick Golf Club wedding.